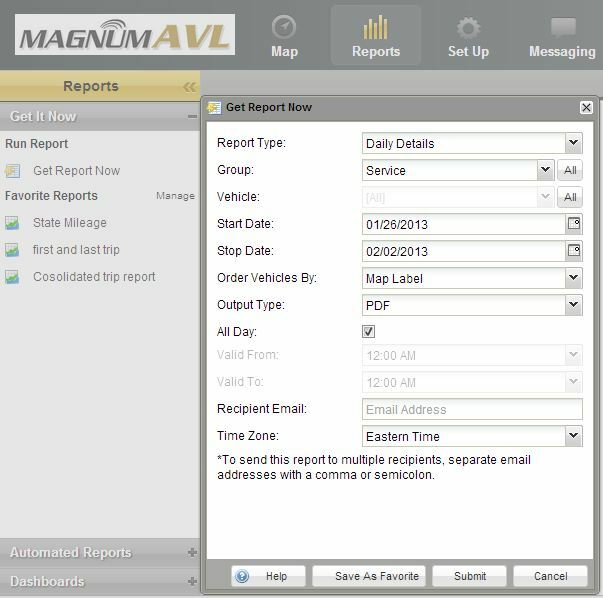 Magnum AVL GPS Reports Provide Powerful Fleet Data | Magnum Electronics, Inc. This entry was posted in GPS Tracking, Magnum AVL and tagged accountability, AVL, fleet management, GPS, Magnum AVL by magnumelectronics. Bookmark the permalink. Pingback: New Magnum AVL Asset and Trailer Tracker GPS Service Plan | Magnum Electronics, Inc.
Pingback: How Magnum AVL Helps Business Owners with Small Fleets | Magnum Electronics, Inc.